The Neka Art Museum is one of the major galleries in Bali. 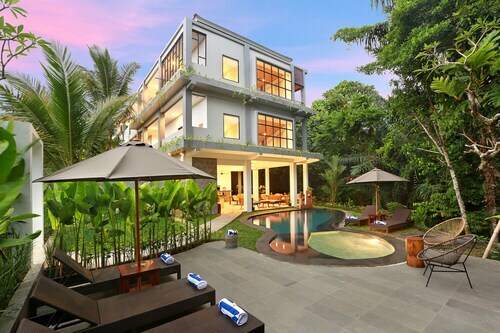 The complex houses a diverse collection of works by Indonesian artists and notable international painters. Explore the galleries and see how the artworks were inspired by Bali’s culture, history and picturesque landscape. The museum’s collection was established in 1976 by Suteja Neka, a Balinese teacher who collected art for documentation purposes. The Neka Art Museum opened in 1982 and now houses some 400 works of art. See traditional Balinese paintings in the famous wayang style, which is based on classic shadow puppets. Make your way over to the gallery with Indonesian contemporary art, including realistic depictions of rural life. Don’t miss the historic black-and-white photographs of Bali in the years before World War II, and the collection of woodcarvings and bronze sculptures. One of the pavilions has an impressive range of work by the Dutch impressionist Arie Smit, who settled in Bali after World War II. Study his vivid strokes and the naive genre he developed and taught to Indonesian landscape painters. The Lempad Pavilion has a fine collection of the famous local artist I Gusti Nyoman Lempad, who joined the Pitamaha art co-operative established by another Dutchman, Rudolf Bonnet. Bonnet started the Museum Puri Lukisan in Ubud and his work also features here. End with the temporary exhibits, which keep the museum interesting for returning visitors. To make more of your visit, browse the bookstore and gift shop for reference books or souvenirs, and enjoy refreshments in the on-site café. The Neka Art Museum is in Campuhan, a 10-minute drive northwest from downtown Ubud. The museum is open daily, but not on Sunday mornings and public holidays. The museum is popular with tour groups, so come mid afternoon if you want to avoid the crowds. All exhibitions have detailed information in English. 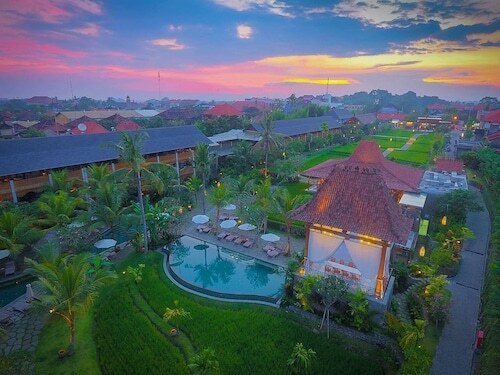 This family-friendly Ubud hotel is located in a rural location, within 1 mi (2 km) of Neka Art Museum, Campuhan Ridge Walk, and Gunung Lebah Temple. 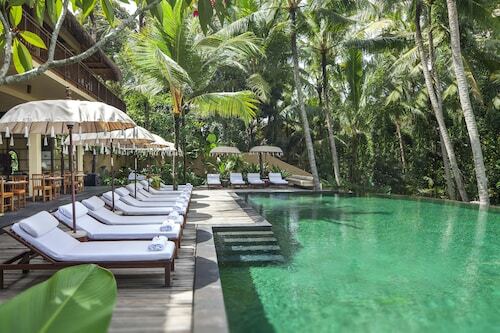 Ubud Royal Palace and Ubud Traditional Art Market are also within 2 mi (3 km). 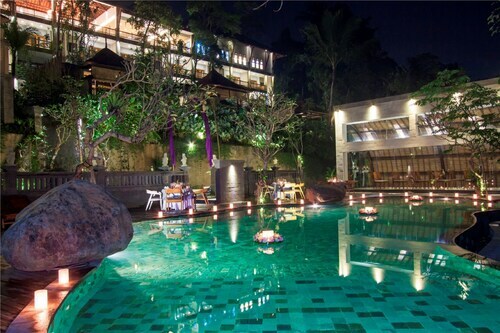 Situated in Ubud, this hotel is within 1 mi (2 km) of Pura Desa, Ubud Royal Palace, and Ubud Traditional Art Market. 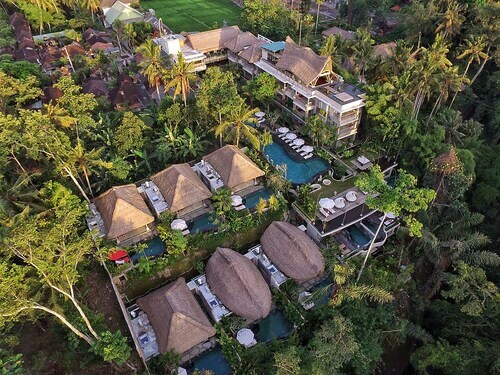 Ubud Monkey Forest and Campuhan Ridge Walk are also within 3 mi (5 km). 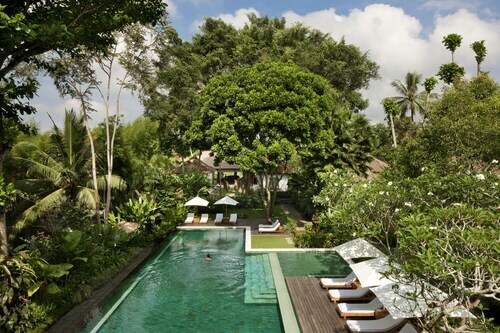 This family-friendly Ubud hotel is within 2 mi (3 km) of Ubud Royal Palace and Ubud Traditional Art Market. 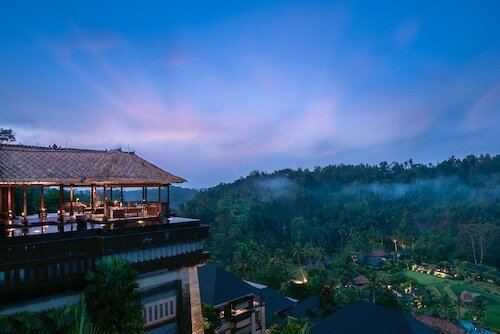 Ubud Monkey Forest and Campuhan Ridge Walk are also within 3 mi (5 km).